The internet stores information on every business, in every industry, from every country. Whether through public registration documents, regional databases, or consumer review sites, information about your company is freely available to anyone with an internet connecction. Unfortunately, not all of this information is positive. Disgruntled employees, upset customers, and even unethical competitors can slant the tone of online conversion and destroy your business' reputation. Managing your online reputation is no longer an optional tool in the modern business world. A negative online reputation creates a downward spiral of declining expectations and reduced revenue. At its worst, a poor online reputation leads to customers and employees moving to your competition. Improving your online reputation is not a simple task. Sophisticated marketing firms offer online reputation management services at prices starting at a thousand dollars per month. Small enterprises with a small marketing budget must often consider in-house efforts. Thankfully there are five specific steps that any business can take to managing online reputation. The first step in any online reputation effort is to analyze your existing internet reputation. Start by searching for your company name, variations of your company name, and combinations of your company name and location. Additional possibilities include your company name plus "review" or your company name plus any variety of negative words. Conducting detailed searches of your company name will allow you to see what your potential customers see. Information flow freely on the internet and identifying any negative items is the first step towards dealing with them properly. Be sure to conduct searches on both Bing and Google since the two major search engines often hold different results. More computer-savvy business owners will want to disable cookies and conduct searches from an anonymous browser without geo-location. 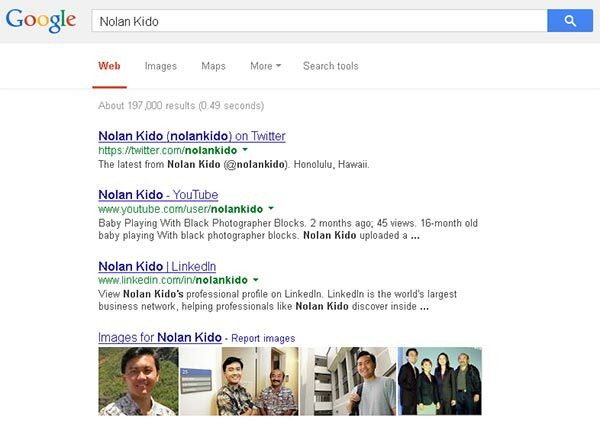 Google yourself and your brand names. The easiest way to improve the online reputation of your business is to control the most important domain names relevant to your company. Since both major search engines provide optimization benefits to domain names that match the text of a search, any domain name containing your company name becomes more useful. The plethora of domain name extensions also creates additional opportunity. Not only is the universally recognized .com extensions critical, but other extensions such as .org, .net, .biz, and .info may rank highly in search engines. If your company does business in a specific country outside the United States, then a country code domain extension will also be important. Owning variations of your company's domain name potentially allows you to develop multiple web properties to capture a larger share of search engine results. More importantly it prevents unscrupulous competition from using those domains to inflict harm on your online reputation. Social media sites have become crucial to online conversation for businesses of all sizes. Collectively, social media sites drive discussion on the internet and spread information around the globe. 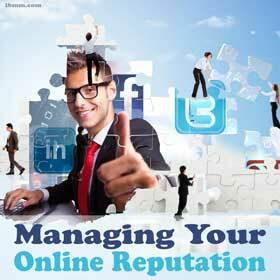 For any business concerned about online reputation, social media can be a useful tool. Since registering on social media sites is free, there is no excuse for your business not to be registered on every social media property. The two most important sites are Facebook and Twitter. With the largest number of active users, these two properties are most likely to have customers and potential customers for your business. Registering your business with these sites allows you to begin a conversation with your customers and gradually shape the nature of your online interaction. Communication on social media also provides the opportunity for these pages to rank highly on search engines. Assuming your business is effective with social media, this can replace potentially negative mentions with far more positive items from your social media accounts. Once you have started the process of managing the online reputation of your business, you should consider investing in a dedicated content strategy. The internet thrives on new content and if there is no positive content on your business, negative content will likely fill the vaccum. "Fresh content is important for your business. Content can be used for on a company blog, social media sites, or local news outlet. Without good content, searchers will not find any information about your business." Creation of content does not necessarily need to be a large-scale effort. Even a single, weekly blog post can help your business' reputation by showing customers a consistent presence and dispelling myths about a lack of communication. Frequency and quality of content is important and every business should at least show a modicum of effort towards generating new content. 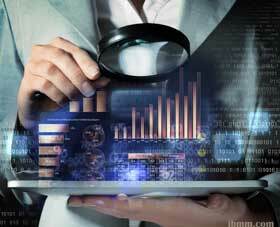 After completing some basic steps toward improving your online reputation, you should set up a monitoring system to track results. Two major options are a search engine rank monitoring service and a news alert service. Search engine ranking services are generally paid services that track the specific ranking of your keyword term over time. By viewing the gradual progression of your search ranks you can identify successes and failures in your online reputation efforts. Companies with smaller budgets can replicate the ranking service in-house by simply conducting specific searches at pre-determined intervals. A news alert service sends automated emails every time a specific key phrase is triggered by news or media reports. The most popular service, Google Alerts, is completely free. You can set an alert for your company name and see every new website or news item related to your company. Business owners with larger ambitions can set alerts for industry phrases or the names of their competitors. By tracking news mentions about your company you can monitor the progress of your online reputation management campaign. Your potential customers are searching for your business right now. What do they see? Your online reputation determines whether these customers will shop at your business or your competition. Even more importantly, your business' online reputation affects the manner in which your suppliers, partners, and employees interact with your company. A positive online reputation can improve the quality of your professional relationships and strengthen your offline results. At its best, online reputation management creates a positive feedback loop where happy customers tell their friends leading to more happy customers at your business. Substantial increases in revenue are available for every business with a positive online reputation. Interesting post, Nolan. These days, it's so easy to say anything you like about a business, true or not; so, taking measures to protect your reputation is becoming more important.